Antique Roses – Old garden roses that are fragrant, naturally disease resistant, hardier and require less care than most other roses. 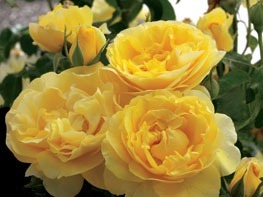 Climbing Roses – Many of our modern rose climbers originated from hybrid teas that have a tendency to grow unusually long canes. 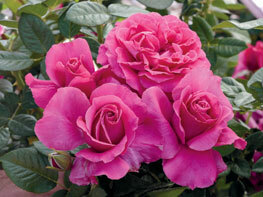 Climbers can grow to a length of 18 to 20 feet and bloom as profusely as many hybrid teas. 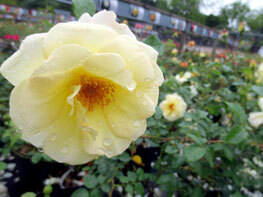 Earth-Kind® Roses – A special designation given to select rose cultivars by the Texas AgriLife Extension Service. Click image for more information. Image courtesy Weeks Roses. 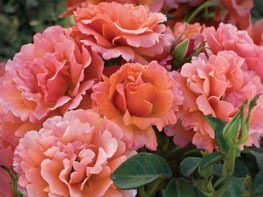 Grandiflora shrubs support a heavy compliment of blooms throughout the growing season and are an excellent source of flowers. 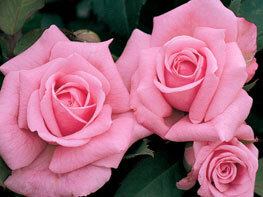 This type usually ranges from 4 ½ feet upward with long stems sometimes supporting several blooms. Image courtesy Weeks Roses. 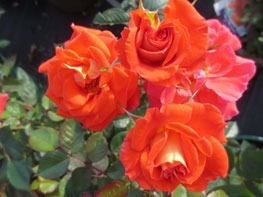 Floribunda Roses began as a cross between Polyantha and hybrid tea. 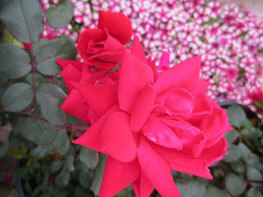 The results of this successful cross are free blooming with small blooms in large clusters. Reaching 2 ½ to 3 ½ feet in with dense branching. Image courtesy Weeks Roses. The Hybrid Tea is the most popular type of rose sold in America and the best type for cut flowers since each stem has only one bloom. Bushes grow 3 ½ to 4 ½ feet tall and get bigger in ideal conditions. Image courtesy Weeks Roses. 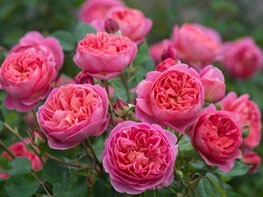 Shrub-hedge Roses are easy-care, versatile and adapt well to many soils and temperatures.